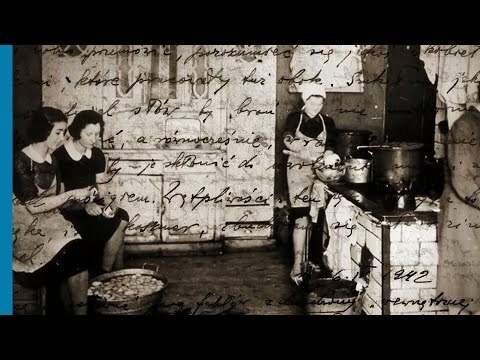 "No words can express what has happened"
In Nazi-occupied Poland, historian Emanuel Ringelblum, who headed the Jewish Self-Help Society (Jewish relief organization) in Warsaw, asked Rachel Auerbach to organize a public kitchen. Once Jews were forced into the Warsaw Ghetto, public kitchens supplied the hungry masses with a daily meal. Auerbach heeded Ringelblum's request. She also became a member of the clandestine Oneg Shabbat (“Joy of the Sabbath”) Archive. In this capacity she documented the sights she encountered in her everyday work and the starvation of the Ghetto's inhabitants (approx. 450,000 people). Auerbach was one of three of the Archive's members to survive the war. 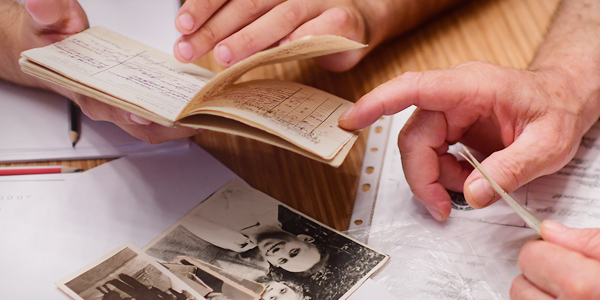 She dedicated her life to the documentation of and research into the Holocaust.